You are currently browsing the archives for the bios category. A collection of official character biographies and basic structure for newcomers to the series. Click on the artwork buttons for more information. Owl has been watching the Night Dimension since ancient times and should be considered as a wise man. He guides visitors who wander into the Night Dimension in the right direction. With extensive knowledge, especially about Nightopia he is on friendly terms with the Nightopians, so he can interpret their feelings. 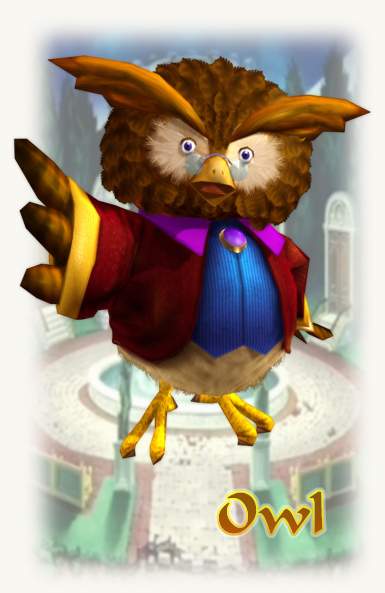 Owl also has an ability to warp instantly into the other areas of Nightopia giving shrewd advice to visitors every time. Owl watches over the adventures of NiGHTS, Will and Helen, and gives useful hints and information during missions. If you have problems advancing, find the Owl's perch with his likeness on it. In the city of Bellbridge, a town with a giant clock tower, lives 12-year-old Will, a boy who loves soccer. 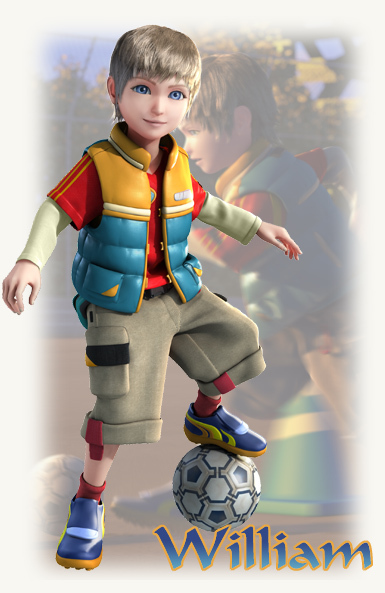 Ever since he was little, Will has played and practiced soccer with his beloved father, and has even managed to become the star player on the local soccer team. He also does well in school, and served as a great role model, but it was perhaps because of his talent that he began to grow more distant from his fellow teammates. Even still, Will at least had his father, whom he loved, trusted and admired. Every day after work, Will’s father would come home and practice soccer with his son, and the two grew quite close indeed. 12-year-old Helen lives in a quiet, upper-class neighborhood in the great city of Bellbridge. Helen and her mother were always very close, spending their days together, going shopping, studying, picking out clothes, and other such things. 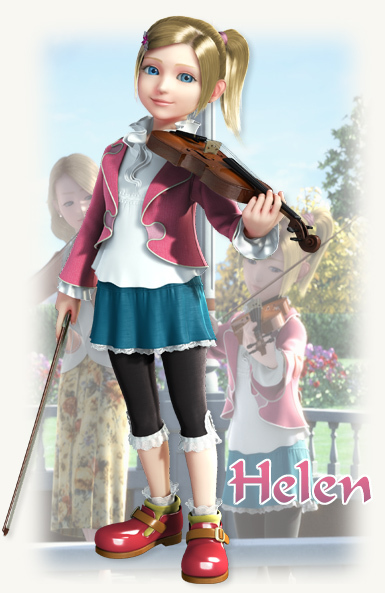 Most importantly, Helen learned to play the violin from her mother, starting from a very young age, and she loved it so. After school, the two of them would play together out on the terrace behind their home. Helen’s dream was that, one day, she would play the violin in concert on stage. However, as young Helen grew up and started to go from being a little girl to a young woman, her relationship with her mother began to change. She was well-mannered, kind, and popular in school. She had many friends in school, and her social life soon began to take away from her time with her mother—and from the time she spent with that old-fashioned violin, her dream to one day play on stage gradually becoming forgotten. Her feelings for her mother were kept deep inside, though, and so subconsciously, she began to feel a deep sense of guilt over the distance that had grown between them, and this guilt manifested itself in the form of recurring nightmares. One night, though, while fleeing from these dark visions in her head, she ended up in a strange new world, where she encountered a mysterious dream-dweller named NiGHTS. 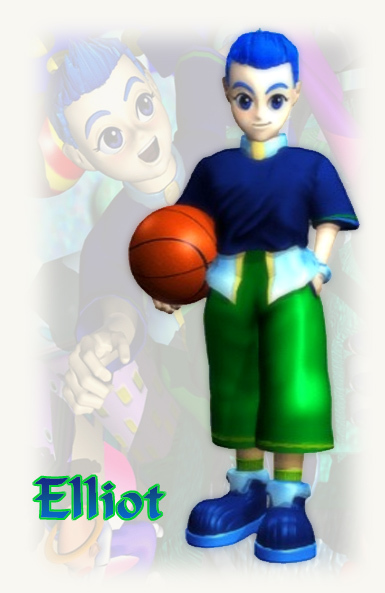 (Official U.S) Elliot is playing basketball with his classmates. Some of the older kids from school show up and challenge Elliot and his friends to a game. A teammate passes long to Elliot, who is just feet from the net, but the star player on the other team steals the ball. A long pass downcourt and a slam dunk finishes the day. Elliot walks back home, alone. That night in his sleep, Elliot's dreams are a repeat of an incident that happened the same afternoon. Elliot was out as usual enjoying a basketball game with his friends. Then suddenly, a High School student's group intrudes, stealing their ball with the greatest of ease. The loud slam dunk putting an end to the day and his respect. The ball is thrown into Elliot and the court seems to melt away. Elliot all at once remembers the anger of his humiliation over and over again. But he is playing against someone he can never hope to beat, his pride keeping him from acting awkward. Hiding his shame behind a poker face he stands alone in silence. (Official U.S) Today is Claris' chance to show her family she has stage talent. The stagelight flares on, and her heart starts racing. The directors are out there, watching. Claris approaches the microphone, but something's not right. A small voice inside tells her that everyone will laugh. A few seconds pass, and the voice grows louder. 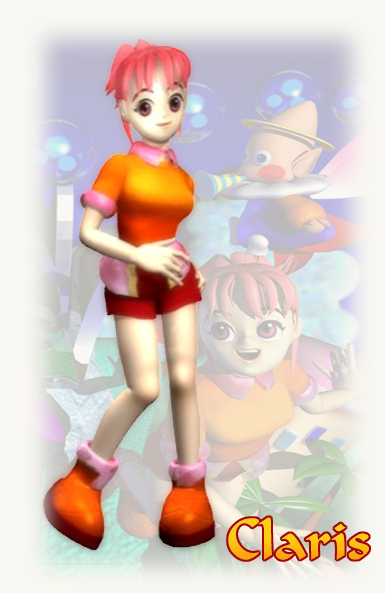 No longer able to bear it, Claris runs off the stage. Claris auditioned for the first general invitation of the headlining musical made for Twin Seeds centennial commemoration celebrations. She had passed a brilliant primary examination. The second audition came that day. Claris was completely spun by the width of the stage and the force of the hot spotlight in which she stood for the first time. Her knees began to wobble, her throat became dry, her voice becoming husky. Infact the spotlight was so bright it had become impossible to see the very judges watching her– Although she would have to wait until the evening for the audition results poor Claris had already lost all self belief and hope completely. Feeling that she had lost her dream. "It's not for me, something just wasn't there…" She murmurs into a deep sleep from the tiredness of daytime. Trying to forget the importance of what she had wanted so much. However, it became obvious it mattered a lot in her subconscious and soon her fears were being played out at the hands of the evil spirits of Nightmare, pouncing mercilessly full of sin on even the good heart of Claris. The intense spotlight burned down strongly making her suddenly aware of all her physical flaws and her inexperience. Claris devoid of any hope in her voice, runs from the stage trying to find an escape from her tormentors. Finding a wonderful shrine she soon discovers the creature NiGHTS who is being held captive within. (Official U.S NiD) In the world of Nightopia where our dreams are played out, an evil being is gaining tremendous power. 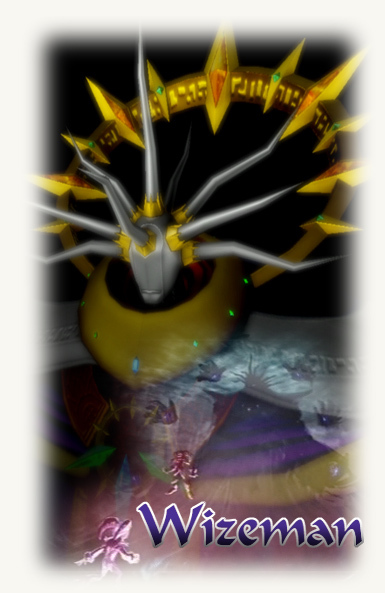 He is Wizeman the Wicked, and through his creations the Nightmaren, he captures precious dream energy from humans. If he is not stopped, he will rise from the subconscious and enter our world. No power on earth will be able to stop him. Wizeman was the first intelligent life in the Night Dimension and the creator of Nightmare. He created Nightmarens by using his own power. His mysterious power scares Nightmarens. But NiGHTS refuses his order, so he confines NiGHTS in an Ideya palace. (Official U.S JoD) Wizeman is an all-powerful being who seeks to rule the Night Dimension, but one thing stands in his way: Nightopia. After creating the dark world of Nightmare, Wizeman populated it with creatures derived from its own soul, known as Nightmarens. With the ability to create natural disasters and his wicked Nightmarens, Wizeman may just suceed in his quest to destroy Nightopia. (Official U.S NiD) Reala is one of Wizeman's closest henchmen. Like NiGHTS, he is a tremendous flyer. 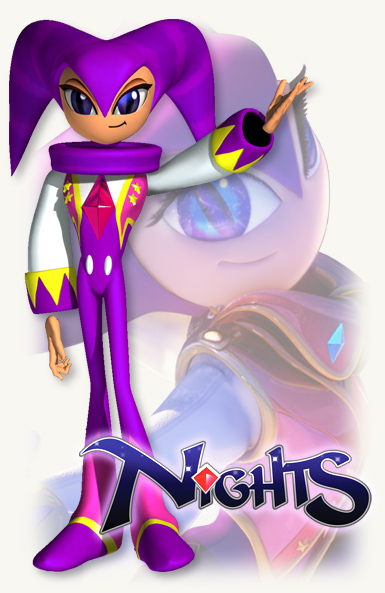 However, he has a cruel and brutal personality and is NiGHTS' number one rival. (Official JP NiD) One of two first level Maren that were created to be Wizemans right hand men. He has an absolute loyalty to Wizeman though he is a cruel and brutal character. He has a flight ability almost equal to NiGHTS, and he can paraloop too. 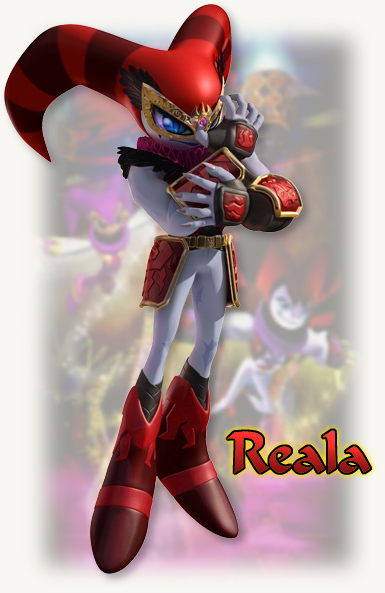 Reala has many problems with NiGHTS because of their equal ability and opposing character. Therefore, they consider each other to be rivals. And, it was Reala's doing that NiGHTS was confined. (Official U.S JoD) Reala is one of the First-Level Nightmarens created by Wizeman. Unlike NiGHTS — who is free, graceful and cheerful — Reala is obedient towards Wizeman the creator, as well as dirty, cruel and insidious. As a symbol of loyalty, Reala wears a Persona mask given to him by Wizeman. Reala acts as the leader of the whole Nightmaren force. (Official U.S NiD) In their dreams Elliot and Claris have seen NiGHTS, a being capable of flying freely through the sky and performing the trickiest of aerial acrobatics. But what is NiGHTS? A spirit? A memory? Whatever he, she or it is, NiGHTS plays an important part in the upcoming battle with the evil Wizeman. (Official JP NiD) Nightmaren of the first level created as Wizeman's right-hand man. Having the craziness of the original Nightmaren, the free wild character of this individual suffers much misfortune. Wizeman's spell is cast, confining the creature to the space of a dream. NiGHTS excels in flight ability compared to the other Marens. NiGHTS can fly as freely through the air as a fish swims the sea. If NiGHTS flies in a circle a hole can be made in the air, creating a deadly paraloop. Furthermore, since it's body can also be changed at will with shapeshifting, there's no place NiGHTS cannot venture to such as underwater or ice. Will the day come when NiGHTS will be released from Wizeman's spell and be free to fly the skies again? (Official U.S JoD) NiGHTS enjoys flying freely through the beautiful skies of Nightopia. Full of curiosity, NiGHTS loves anything new or unusual. When Wizeman, the evil ruler of Nightmare, attempts to take over Nightopia, NiGHTS is compelled to help Will and Helen fight back and restore peace to the land.